This is a pair of Peregrine Falcons at a nest site recreated in a wall case. 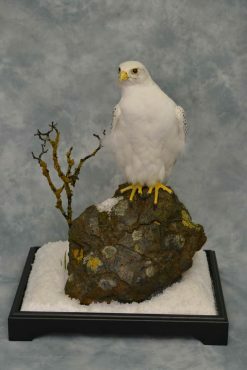 The rock was a rock I found on the Isle of Mull in Scotland It looked so cool I just had to go back with some RTV and cast it, this is now a reproduction made from fiberglass and foam. 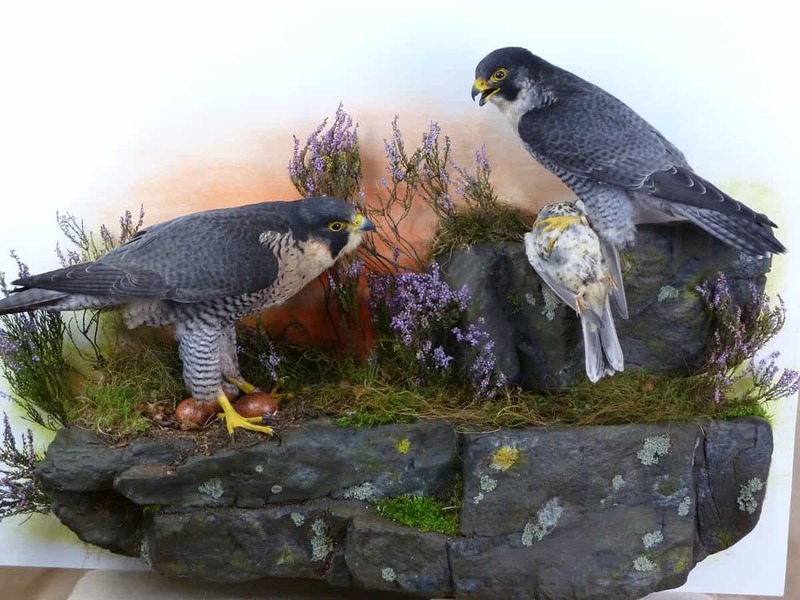 The project I originally planned for it is in the still to do pile, hopefully I will get it done and add it to the site. 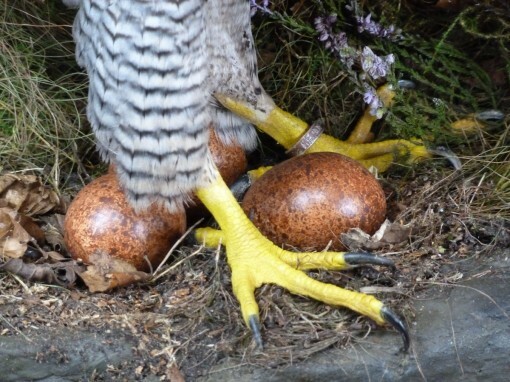 The eggs are Plaster I know people get very tetchy about eggs even if 100% legal. 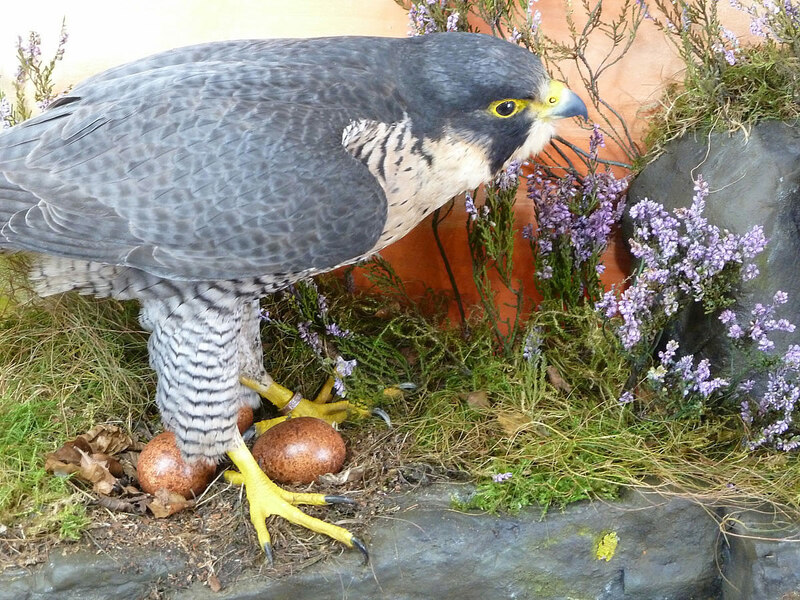 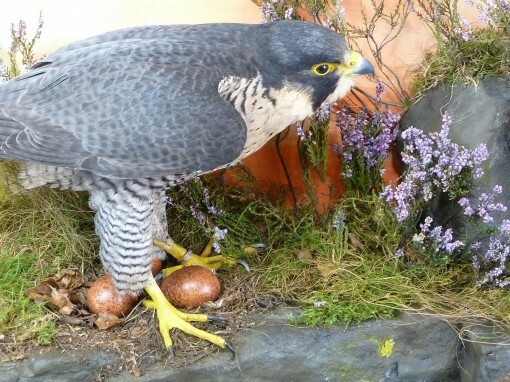 With all the Peregrine Falcons being bread in the UK there are plenty of legitimate infertile eggs but feel it is safer to just use plaster eggs. 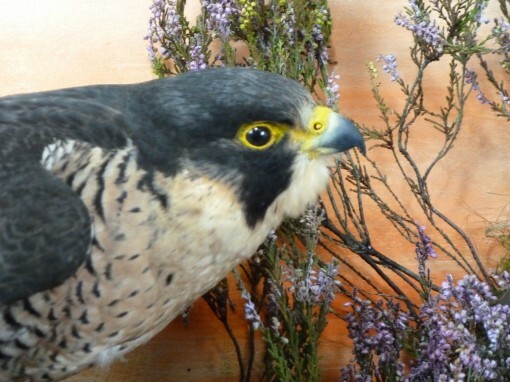 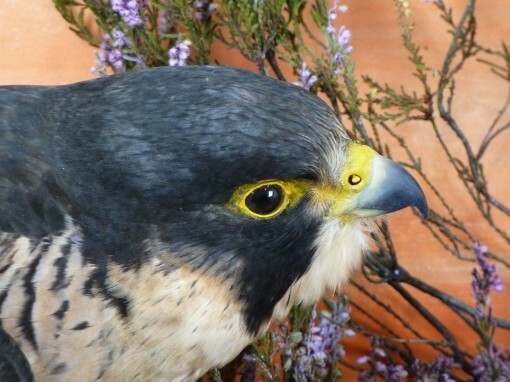 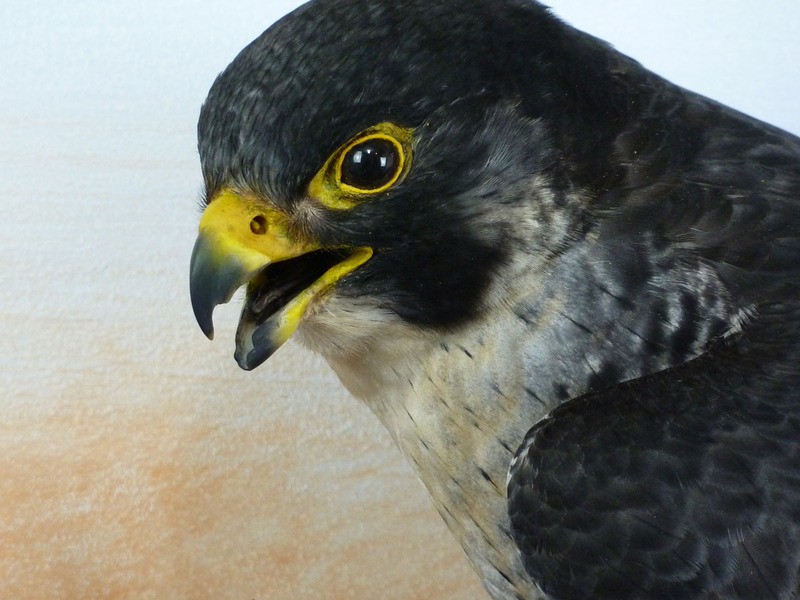 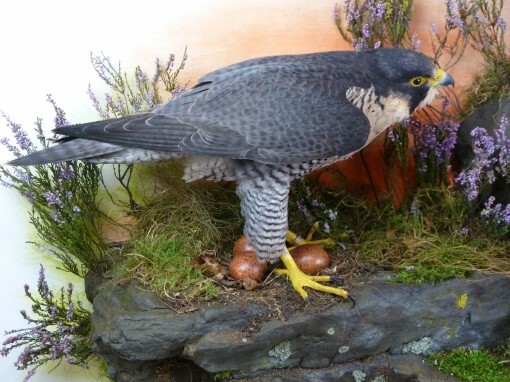 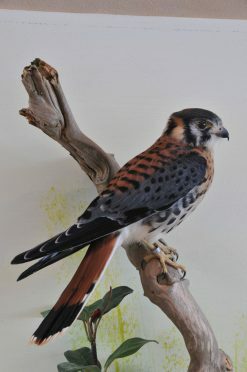 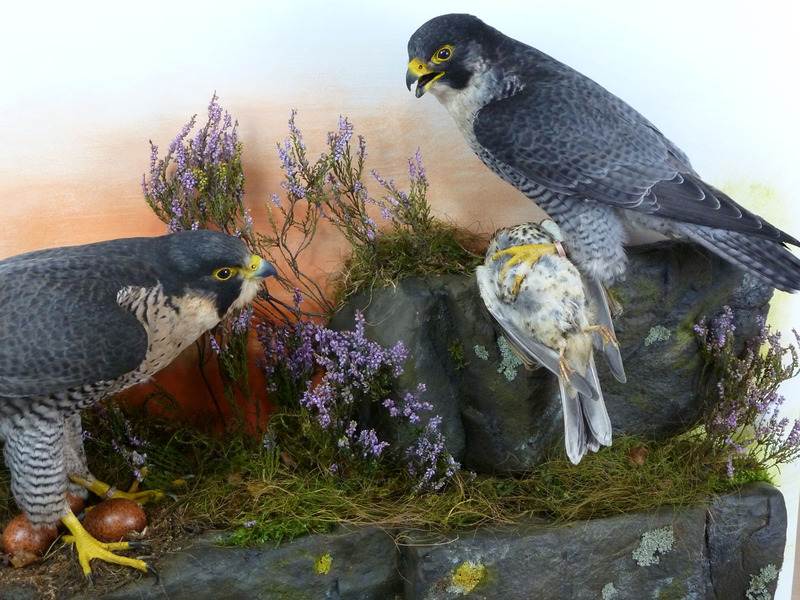 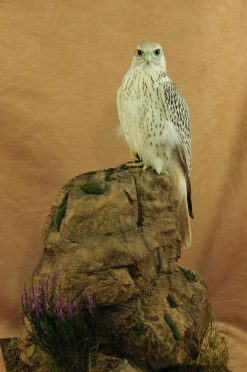 The female Peregrine Falcon achieved a Higher Category Credit at the UK Guild of Taxidermists Competitions in March 2011. 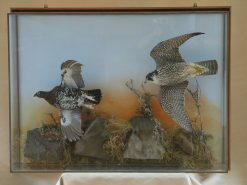 This is the highest award that can be achieved in the UK. 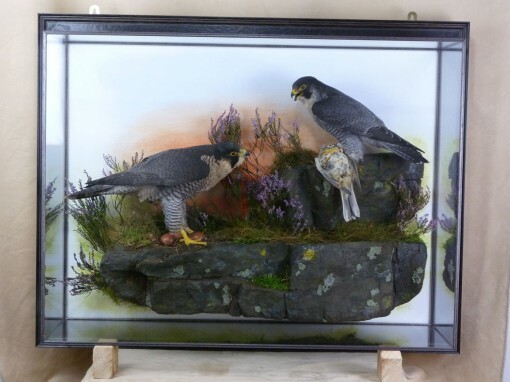 The case also won the Wagstaffe Trophy Best Cased Exhibit.